This teen titans fan art might contain diving jas, gaun diving, setelan menyelam, and pakaian menyelam. This is a picture of the original Titans dressing as their mentors. 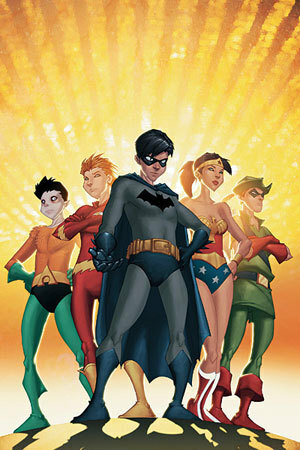 they look dumb but robin looks pretty good in that batman outfit.